Involves Click & Go receiver mounts on Britax B-Agile and BOB Motion strollers being used in travel system mode. In order to be informed directly whether your product has been involved in a safety advisory or recall, be sure to register your product. 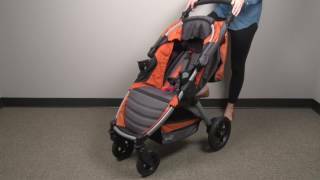 Britax B-Agile and BOB Motion Strollers with Click & Go receivers when used as a travel system.